Insulation specification was based on use of 40 mils (1 mm) of ceramic insulation coating and 2" of fiberglass board with a finish panel covering allows deployment in extreme hot and cold climates around the world. This aluminum shipping container was fabricated by Stabbert Maritime for use as deck-loaded work quarters and storage of sonar equipment. 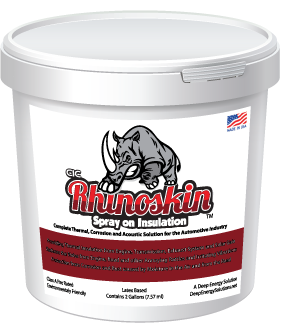 The insulation specification was based on use of 40 mils (1 mm) of ceramic insulation coating and 2" of fiberglass board with a finish panel covering allows deployment in extreme hot and cold climates around the world. Stabbert Maritime manages workboats in service around the world. Use of transportable living and working quarters that can be transferred between vessels extends their functionality and leverages investment in their production. 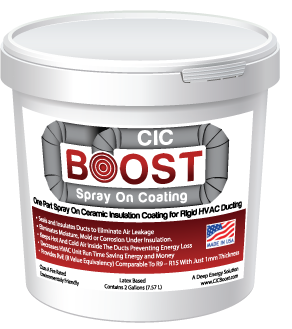 The combined use of ceramic insulation coating as a radiant barrier and mass-based board material to retain heat provides an optimal insulation solution. 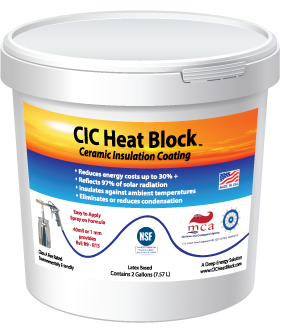 The insulation coating blocks heat transfer into the interior in hot climates and prevents condensation on interior surfaces in cold climates. The hybrid combination provides maximum thermal efficiency with a minimum of mass and thickness. The use of fiberglass board instead of fibrous material reduces moisture absorption and loss of thermal efficiency. The combined weight is also significantly less than traditional materials and based on resistance to absorbing moisture will stay that way.